Philips has beat everyone to be the first to roll out a desktop monitor that meets the DisplayHDR 1000 certification, the highest and most stringent of VESA’s new standard. 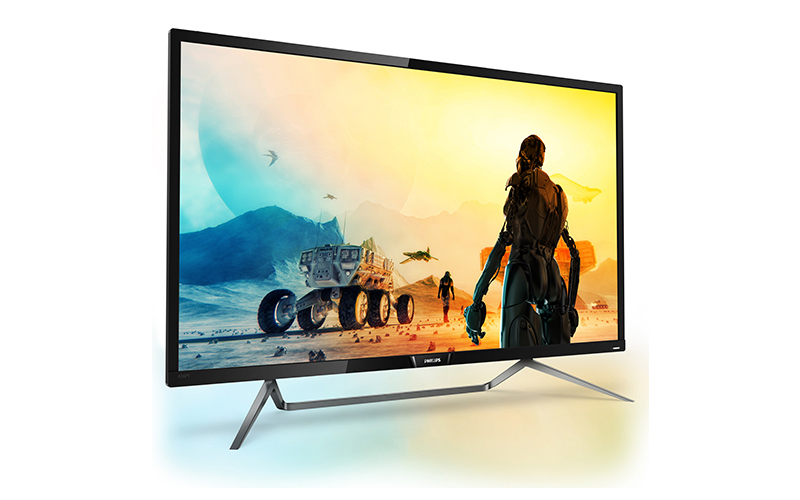 The Philips Momentum 436M6VBPAB is a 43-inch gaming monitor with a crisp 3,840 x 2,160-pixel resolution and a peak brightness level of 1,000 nits, setting it apart from almost every other HDR monitor announced to date. The maximum brightness level plays a big part in delivering on the promise of HDR, so a display that can hit 1,000 nits should technically look better than one that is capable of just 400 nits. The Momemtum features an MVA panel with a 4,000:1 typical contrast ratio and 50,000,000:1 dynamic contrast ratio. That said, the screen won’t always be running at that searing 1,000 nits of peak luminance, and the typical brightness level is listed at 720 nits.